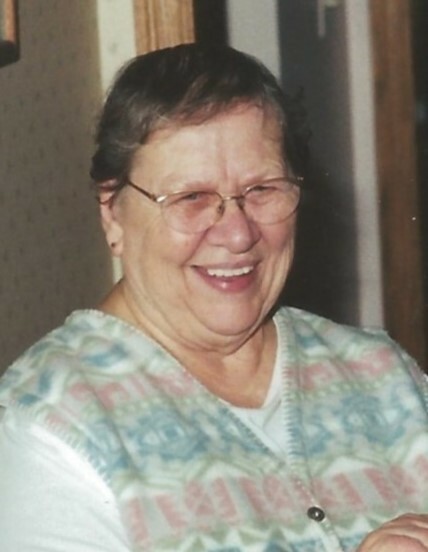 Donna Hallerberg, 92, of Auburn passed away Sunday, May 20, 2018 at Chatham Reflections Memory Care. She was born Sept. 15, 1925 in Griggsville, IL, the daughter of Walter and Noami McAllister Bossarte. She married Paul John Hallerberg in Dec. 18, 1945 and he preceded her in death. Also, preceded in death by three brothers, Earl, Keith, Dean and a sister, Marie. Donna was baptized on April 24, 1946 and was a member of Trinity Lutheran Church, Auburn. Surviving are three children, David (Ruth) Hallerberg of Auburn, Carolyn (Doug) Eltoft of Iowa City, IA and Patricia (Marshall) Skibbe of Arlington Heights, IL; six grandchildren; sixteen great-grandchildren. Private family services will be held at Chapel Hill Gardens West, Oakbrook Terrace, IL. Memorial may be made to the charity of your choice.